OEM Part Numbers : 1845088 / 1845109 / 09180222 / 13221348 / 09180222 / 9180222. VAUXHALL - SIGNUM - 1.8. VAUXHALL - SIGNUM - 2.0 i Turbo. VAUXHALL - SIGNUM - 2.2 i. VAUXHALL - SIGNUM - 3.2 V6. VAUXHALL - SIGNUM - 1.9 CDTI. $VAUXHALL VECTRA C HEATER BLOWER MOTOR FAN RESISTOR, 2002-2008, PART NO. 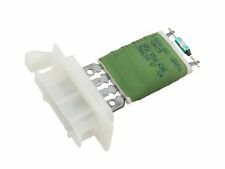 9180020 Heater Blower Resistor. Vauxhall part number 9180020 This resistor is suitable for: Vectra C 2002-2008 This item comes with next day despatch and can be shipped abroad, please message for further details. Feel free to ask any questions. _____________________________________________________________________ Before bidding please note: I will not accept offers outside of ebay (all my auctions run their course). I aim to answer all enquiries within 24 hours. Please read my returns policy on this item. Please message before bidding if you have a 0 feedback score. I aim to despatch within 24 hours where possible. I ask that people pay promptly or notify me if otherwise. Please don't be offended if I message after 48 hours of non-payment. Part Numbers: 9180020, 1845752. 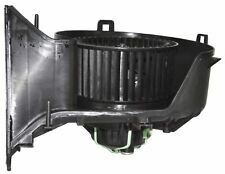 For Vauxhall Signum (2003-2008) For Manual Air Conditioning. For Vauxhall Vectra C (2002-2008) Models For Manual Air Condiotioning. Autovaux was established in 2001 and is recognised as The Number 1 Supplier for Genuine Vauxhall spares and O.E Quality parts for all car manufacturers with Vauxhall trained staff and the most up to date parts software available. Signum (03-08). Vectra C (02-08). Heater Blower Fan Motor. with Lower Casing. All Models. A to Z Motor Spares (Wakefield). © A to Z Motor Spares (Wakefield) 2017. However delays are occasionally inevitable due to unforeseen circumstances. OEM Numbers 9180015, 13221350, 1845079, 1845111. VAUXHALL VECTRA C, SIGNUM 2002-2009. VAUXHALL SIGNUM [2002-2009] ALL MODELS. VAUXHALL VECTRA C [2002-2009] ALL MODELS. Wishbone Arms OEM Part Numbers All international parcels will be boxed and very well secured. 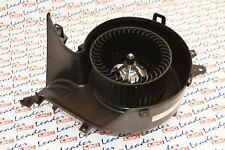 Part number - Heater blower fan - 13250116. 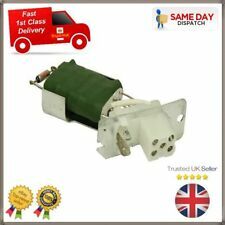 GENUINE VAUXHALL VECTRA SIGNUM ACC AIRCON HEATER BLOWER. VAUXHALL SIGNUM 2003-2008. VAUXHALL VECTRA 2003-2008. SAAB - VAUXHALL - FIAT. GENUINE VAUXHALL / OPEL VECTRA C & SIGNUM HEATER RESISTOR Part Number: 9180020 Compatibility: VECTRA C (2002-2008) SIGNUM (2003-2008) NOTE: The ebay compatibility table above is intended for guidance purposes only. Please check part numbers and/ or contact us with your vehicle registration or chassis number to confirm compatibility. 1 Year Vauxhall Warranty Included Thanks!. ENGINE CODE. ENGINE SIZE. Engine and Gearbox Mounts. Compare our image with others and youWILL see the DIFFERENCE. 2.0 DTI (F35). 1.9 CDTI (F35). 3.2 V6 (F35). 2.2 direct (F35). $COMPATIBILITY Vectra C 2002-2008 Signum 2002-2008 PART NUMBERS 9180020 FEATURES OE Spec WARRANTY 1 Year. JOHNSONS VAUXHALL SPARES. You are signing to say you have received the item(s) in good condition. Signum 2002-2008. Vectra C 2002-2008. 1 X HEATOR BLOWER RESISTOR. Seintech UK cannot accept liability for any inaccurate or subsequent changes to the information provided. No liability will be accepted in incorrect fitting of parts. Signum (03-08). Vectra C (02-08). Heater Blower Fan Motor. ~ For Models with Manual or No Air Con ~. All Right Hand Drive Models. All Rioght Hand Drive Models. VAUXHALL Vectra Riscaldatore motore resistore conf. FITS OPEL & VAUXHALL VECTRA. VECTRA, SIGNUM & COOLING . VAUXHALL & OPEL. VAUXHALL PART NO : 13250114. FITS OPEL & VAUXHALL SIGNUM. HEATER BLOWER M OTOR. BLOWER MOTOR LOST 1 OR 2 SPEEDS ?. NEW IN ORIGINAL EIS or VALEO BOX. 006976P 007017J. 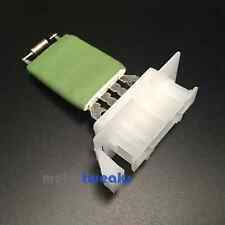 Part Number: 006976P 007017J. Part: Heater Motor. Used Exterior and Interior Panels. Condition: used. VAUXHALL VECTRA C 2002-2008 - MANUAL AIR CON. GENUINE VAUXHALL HEATER FAN RESISTOR. VAUXHALL SIGNUM 2003-ONWARDS - MANUAL AIR CON. SAAB - VAUXHALL - FIAT. NO HOLE FOR RESISTER. VAUXHALL VECTRA C HEATER FAN AND MOTOR BLOWER. From 2001 Vectra. This is from a U.K. Car. Heater blower removed from a 2009 Vauxhall Vectra. Blower is in excellent condition and working perfectly, everything fully operational. Please match your codes with ours before purchasing. 30 days warranty. Part number - 006613U, 11V. Will fit Vectra C 2005 - 2009 models. Our carriage is to UK Mainland only, not including Scottish Highlands. HoweverIT IS YOUR RESPONSIBILITY TO CHECK IF PART WILL FIT YOUR CAR. 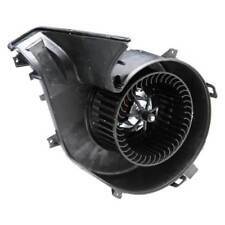 9180020 Heater Blower Motor Fan Resistorfor Vauxhall Signum Vectra C. • OE Part Number: 9180020. 2003-2008 Signum all models and without air conditioning. 2002-2008 Vauxhall Vectra C all models and without air conditioning. Part number - 006613U, 11V. Vectra C 2002 - 2009 models. Our carriage is to UK Mainland only, not including Scottish Highlands. Signum 2002 - 2008 models. HoweverIT IS YOUR RESPONSIBILITY TO CHECK IF PART WILL FIT YOUR CAR. Vehicle Model: Vauxhall Vectra 1.9 CDTi 120 Diesel (2004-2009). Heater ResistorVauxhall Vectra 1.9 CDTi 120 Diesel (2004-2009). Check all of the information provided including pictures and OEM numbers where provided. REGULARLY DISMANTLE VAUXHALL CARS. ENGINES MUST BE FITTED WITH NEW TIMING BELTS / CHAINS & QUALITY OIL / FILTERS PRIOR TO FITTING - FAILURE TO DO SO WILL VOID ANY WARRANTY. WE ARE ALWAYS WILLING TO HELP. Part number - 006972T, 13V. Will fit Vectra C 2005 - 2009 models. Our carriage is to UK Mainland only, not including Scottish Highlands. HoweverIT IS YOUR RESPONSIBILITY TO CHECK IF PART WILL FIT YOUR CAR. For Sale is a 2004 MK3 VAUXHALL VECTRA C 2958cc Diesel Heater Motor/Assembly Blower Fan Assembly. Part Number:007017J . Removed from a 2004 VAUXHALL VECTRA 5 Door Hatchback with Air Con. Please see the item description for more information, you will receive everything you see in the images. HEATER MOTOR REMOVED FROM A VAUXHALL VECTRA. WE WILL DO OUR BEST TO RESOLVE THE ISSUE. THEY ARE TESTED PRIOR TO DISPATCH. Make sure you are buying the correct item as it is your responsibility to make sure the part you are buying will fit your vehicle. This sale is for vectra c heater blower fan motor. VAUXHALL VECTRA ELITE 2006. HEATER BLOWER MOTOR. ENGINE CODE - Z22YH GEARBOX CODE AF23. South Yorkshire. The Blue Containers. AJ SPARES is a large independent Vehicle Dismantlers. VAUXHALL VECTRA ELITE 2006. SOLID FLYWHEEL. South Yorkshire. The Blue Containers. AJ SPARES is a large independent Vehicle Dismantlers. [2003-2008]. [2002-2016]. [2002-2017]. [2002-2009]. Direct 2 Public.